This high-quality wristwatch will have your engineer offering the time to anyone he can, just to show it off! This truly unique watch is part of our Blueprint Collection, designed by the famous designer, Constantin Boym. It has been completely redesigned and is even more stunning. 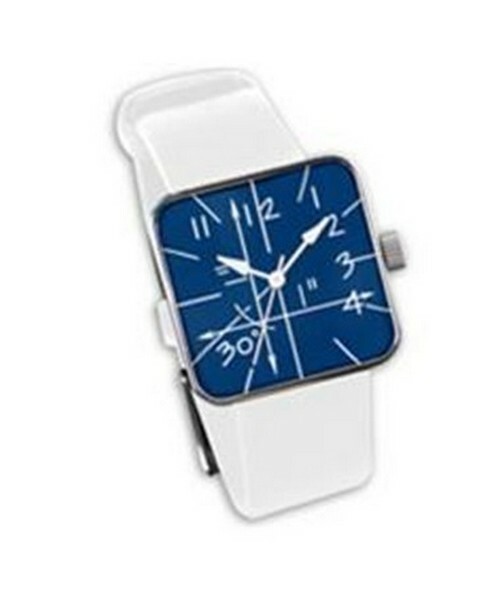 It is available with a black, blue or white leather wristband. Your watch will arrive in a tin presentation case and will contain biographical information about the designer. What an unforgettable gift for that special mechanical, structural or civil engineer!